From prolific writers Jimmy Palmiotti & Justin Gray (Jonah Hex, Power Girl, 21 Down) with art by Fabrizio Fiorentino & Alessia Nocera, Abbadon tells the tale of a city steeped in sin. 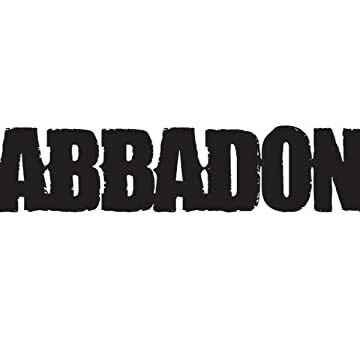 The Western boomtown of Abbadon is poised for a bright future until it experiences a series of gruesome murders. U.S. Marshal Wes Garrett is called to town to solve them. A legendary lawman, Garrett is known for killing a notorious murderer named "Bloody Bill" who once cut a brutal swath across the country and left scores of mutilated men, women and children in his wake. 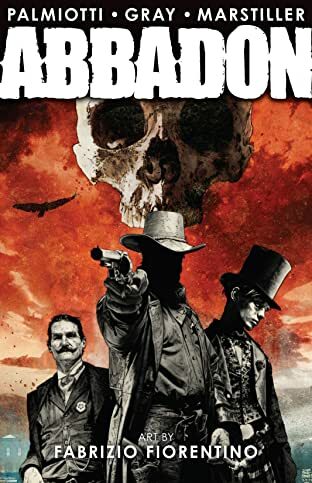 Garrett's arrival reveals the secret that Abbadon Sheriff Colt Dixon has desperately been trying to conceal: that the recent victims have all been murdered in the same style as the killer Garrett supposedly stopped years ago. Garrett and Dixon join forces to uncover the killer's identity in a town so full of corruption that everyone is a suspect.